The Board of Directors approved Cecelia E. Schmalbach, MD, MSc, as the Coordinator-Elect for Research and Quality. An active search was led by Cherie-Ann Nathan, MD, and a search committee for a final candidate. The Search Committee and Research and Quality staff participated in meetings via a conference call to discuss several qualified candidates. Interviews took place during the AAO-HNSF 2017 Annual Meeting & OTO Experience in Chicago, IL. Dr. Schmalbach will spend 12 months as coordinator-elect while Lisa E. Ishii, MD, MHS, completes her term. 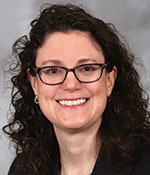 A fellowship-trained head and neck microvascular surgeon recognized for her expertise in cutaneous cancers, Dr. Schmalbach is a professor and otolaryngology vice chair of clinical affairs at the Indiana University School of Medicine. As an active member of the Academy for 18 years, she served in numerous positions including the Nominating Committee, CORE, Women in Otolaryngology Leadership Development and Membership, and AAO-HNS/F Advisory Council for Quality and Research. As deputy editor of Otolaryngology–Head & Neck Surgery, she launched the first dedicated patient safety/quality improvement (PS/QI) platform for the specialty and developed the Peer Review Mentorship Program. This position is responsible for coordinating the research and quality improvement efforts of the Foundation, with particular attention to oversight of research and evidence-based activities that improve care. This includes the maintenance and development of Reg-entSM performance measure development; treatment effectiveness and outcomes efficiency; patient safety; and activities that provide members with education and opportunities to improve performance in practice and translate research. Informs the BOD of current research and quality/patient safety-related issues and activities and raises the level of awareness of all such activities of the Foundation to the BOD. 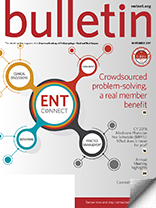 Establishes, in concert with the Reg-ent Executive Committee and the chairs of CORE grants, OREBM, and PSQI Committees, and the Senior Director Research and Quality priorities for the Foundation.